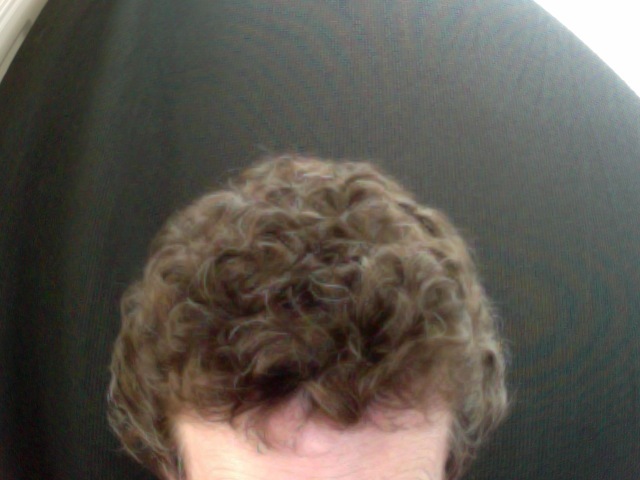 Rave: Cancer Lesson #58: Prepare to be nicknamed Curly. Apparently, it’s not uncommon for hair to grow back dark and curly. In my case, it’s definitely more curly (used to only be wavy), some parts darker, and a whole lot grayer (darn!). 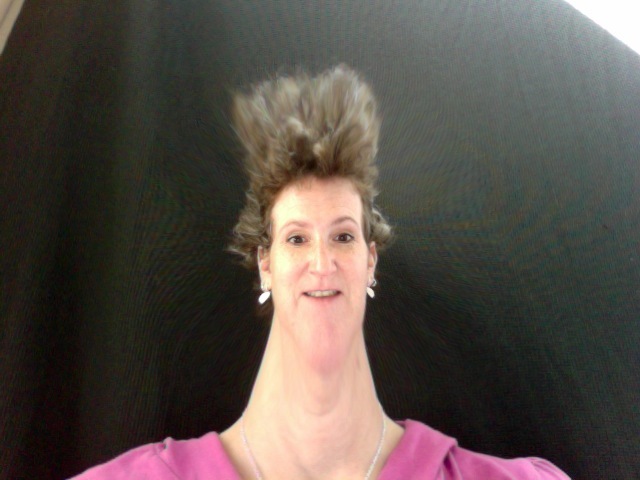 Funnily enough, I’m getting a lot of compliments on my hair these days. This is great, partly because I now have hair to compliment and partly because there’s not a darned thing I can do about the way it’s growing. However, there are several articles online about how to care for “after-chemo” (such a nice phrase) curls. http://breastcancer.about.com/od/lifeaftertreatment/a/chemo-curl-care.htm will link you to About.com’s advice, and there’s a whole website called Naturally Curly.com (www.naturallycurly.com) with hints on handling curly hair. I learned about plopping, and I’m going to give it a try just as soon as my locks are long enough to plop. I’ll keep you posted! Meanwhile, I’m getting used to looking like Little Orphan Annie. Hmmm … do you think I should dye my hair red? This entry was posted in Cancer, Rave and tagged After chemo curls, Breast Cancer, Cander, Hair after chemo, Post-chemo hair.. Bookmark the permalink. mine came back solid gray & black (natural brown hair before), thinner than before, and sheep curly… I’m hoping the curl relaxes a bit as time goes by. The first photo expresses my feeling about it exactly! Well played, very well played. Sheep curly is the perfect description. And you’re right. Although I feel like a bit of an oddball — like someone who got into her mother’s 1960s perm — I’m mainly just glad to have hair again. Hey. Let’s watch those redhead comments. and carry off with the same aplomb! Oh, MaryLou, you know I’m just jealous! I’d love to be red!